US-based center reveals that one of 20 undeclared ballistic missile bases in North Korea serves as a missile headquarters. One of 20 undeclared ballistic missile operating bases in North Korea serves as a missile headquarters, according to a report published Monday by the Center for Strategic and International Studies (CSIS) and quoted by Reuters. It houses a regiment-sized unit equipped with Nodong-1 medium-range ballistic missiles, it added. 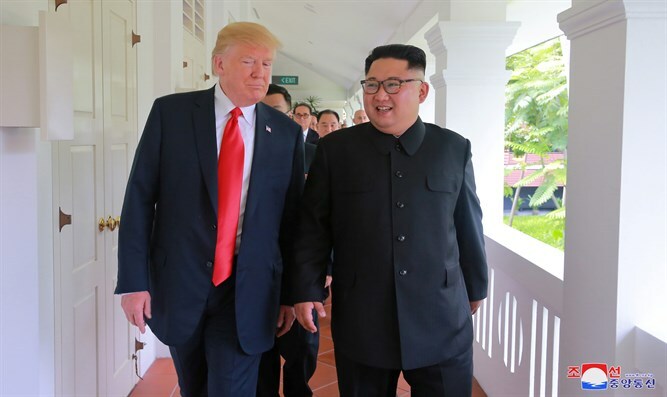 News of the facility comes amid preparations for a second summit between US President Donald Trump and North Korean leader Kim Jong Un. The two leaders are scheduled to meet at the end of February at a location yet to be determined. The White House did not immediately respond to a request for comment on Monday’s report.